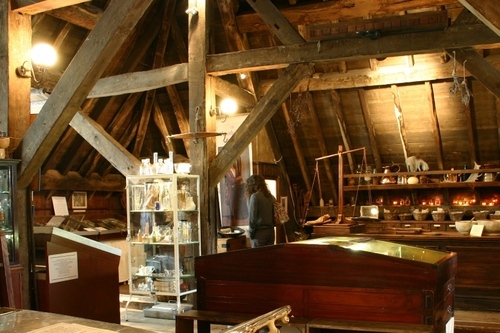 A fascinating old Herb Garret is open to public in the attic of St. Thomas' Church, as a remaining memory of the original site of St. Thomas' Hospital in London (9A St Thomas Street). "St Thomas' Church, completed in 1703, was fitted out with a large Garret, or attic space, constructed in the 'aisled barn' tradition. 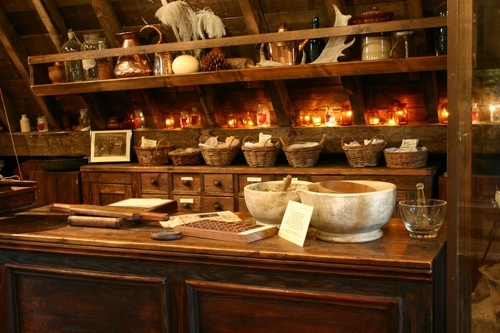 (…) It is likely that the Garret was used by the Hospital's resident Apothecary to store and cure medicinal herbs. Space would have been at the premium in the hospital, leaving cellar and attics for storage. Not as damp or rat-infested as the cellars tend to be, the large timbers of the Garret act as a buffer for the environment (taking in dampness when the air is humid and giving it out when dry), making it and ideal place for drying herbs"1. Also notes have been found from St. Thomas’s Archives on herbs and the apothecary: St. Thomas's Apothecary Archives. Before 1822, in St Thomas' Hospital, "operations on female patients took place on the adjoining Dorcas Ward. Hospital Governors, displeased by this limitation, demanded that part of the Herb Garret be converted into a new purpose-built operating theatre"2. 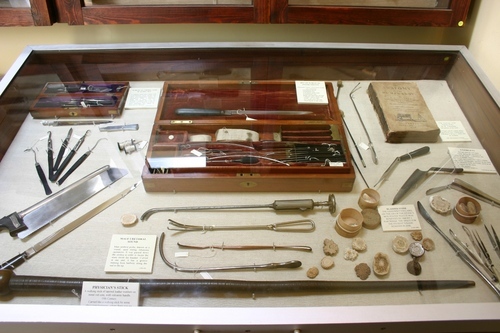 The remaining part of the Herb Garret now beautifully reconstructs the old setting and displays an interesting collection of objects illustrating medical, surgical and nursing history, along with the histories of St.Thomas' Hospital and the nearby Guy's Hospital. Photos by ti.supmacinu|ihgrob.l#ihgroB acuL (July 2011), courtesy of "The Old Operating Theatre Museum and Herb Garret"'s curator. 1. 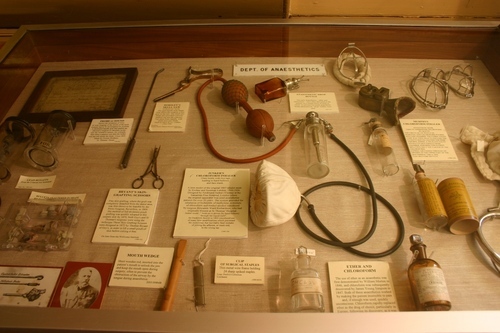 The Old Operating Theatre Museum and Herb Garrett, Museum's official leaflet (2011), p. 2. 2. 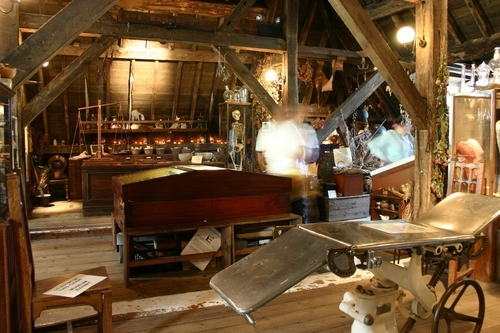 The Old Operating Theatre Museum and Herb Garrett, Museum's official leaflet (2011), p. 2.